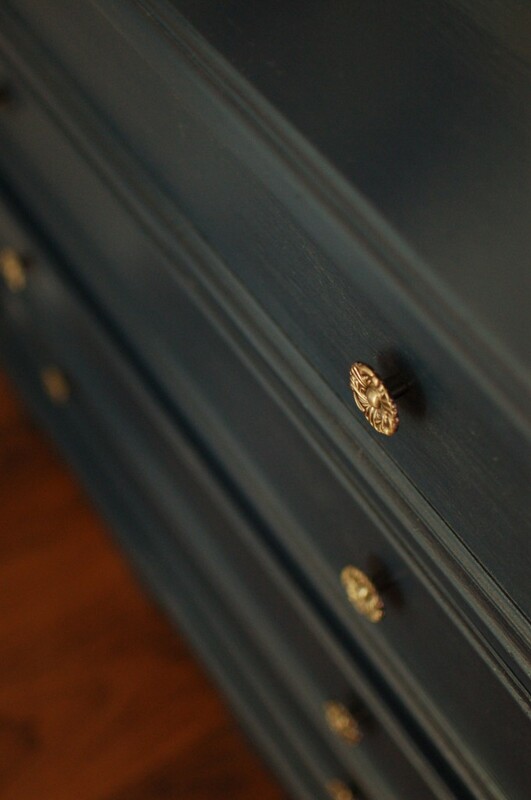 We added this lovely (large, spacious, luxurious) navy dresser to our bedroom this week! I was initially unsure about it, as I don’t like superfluous furniture pieces, especially big ones. Turns out, I love it. The dark paint slimmed it down and I’m (obviously) thrilled about all the storage. I can’t be certain, but my excitement might be influenced by the nine years my clothes have spent living solely on shelves and in cubes! 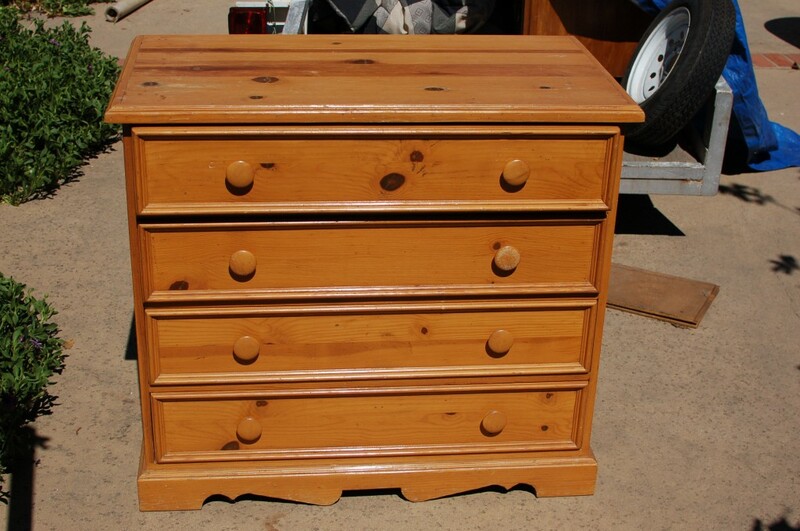 The dresser was a knotty, pine hand-me-down from Greg’s parents, who purchased it secondhand for their mountaintop cabin. Greg sanded, painted and polyurethaned it; I just added flowery knobs and decorated the top. It’s amazing the difference that a fresh coat of paint and some artfully arranged objects can make! 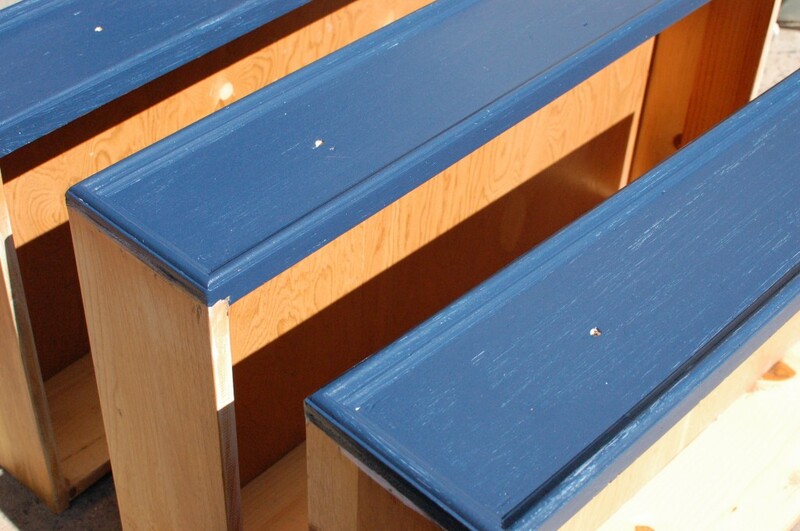 Check back for more furniture makeovers — we have three additional painting projects in the works! I second that question. 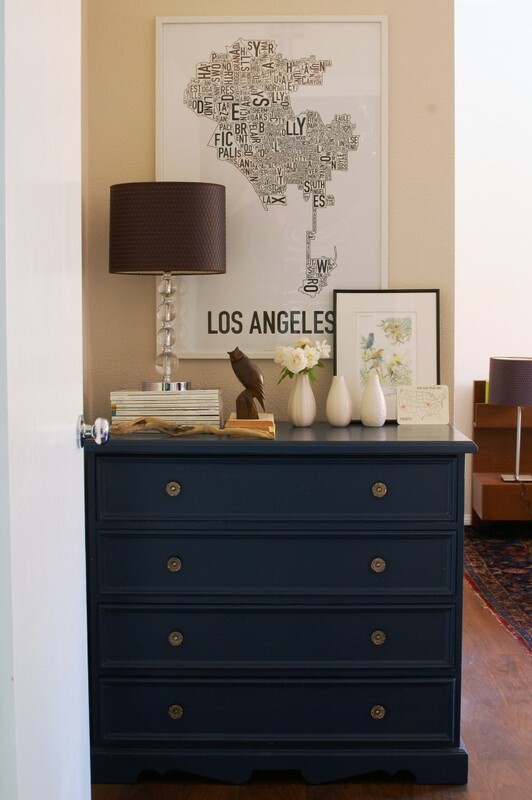 I love what you did and have a similar dresser that I would like to paint a similar color. Sorry for the delay, y’all! I finally found the paint can! 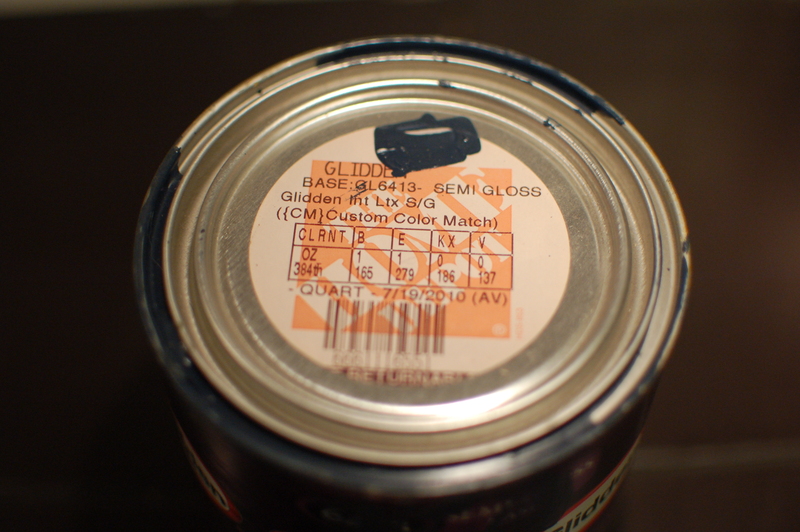 It’s a Glidden paint that we had custom mixed at Home Depot, but hopefully the photo gives you all the details you need to do likewise. 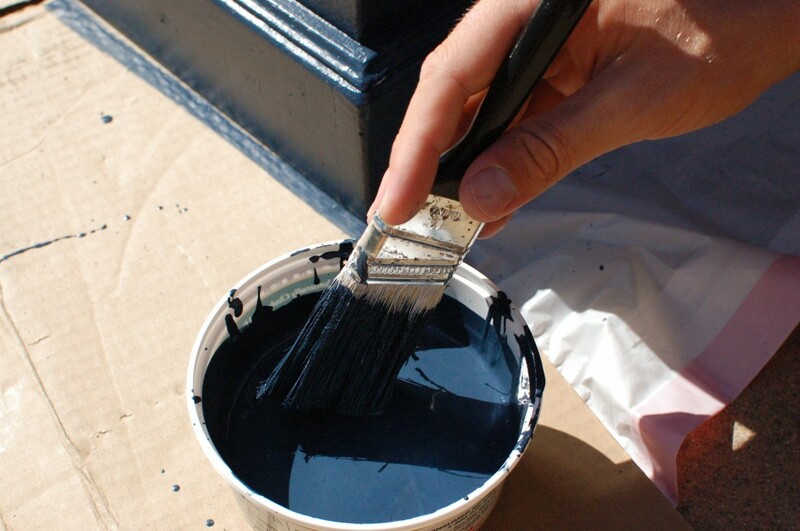 I love this navy color! 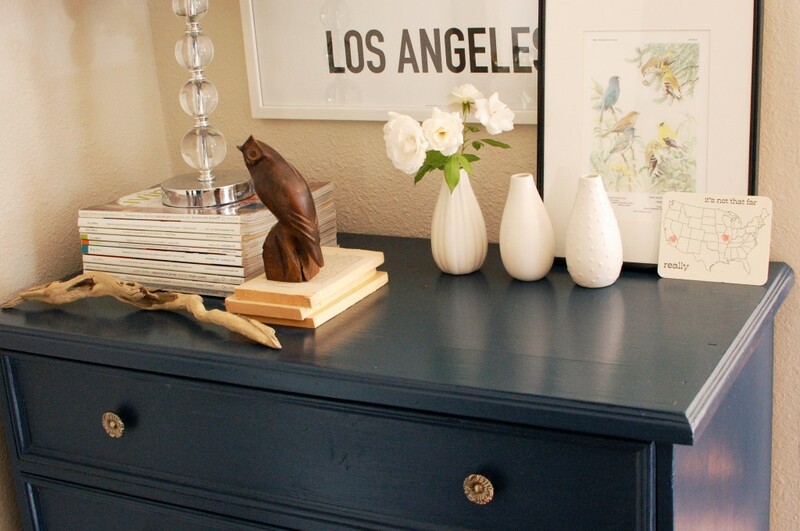 Your dresser turned out phenomenal! Love a good transformation! Where is the LA artwork from or is it DIY? The print is designed and sold by Ork Posters. I love it!